/ Modified jan 4, 2017 4:30 p.m.
Arizona’s economy got a $4 billion boost from the sport of golf in 2014, a University of Arizona study out this week reported. 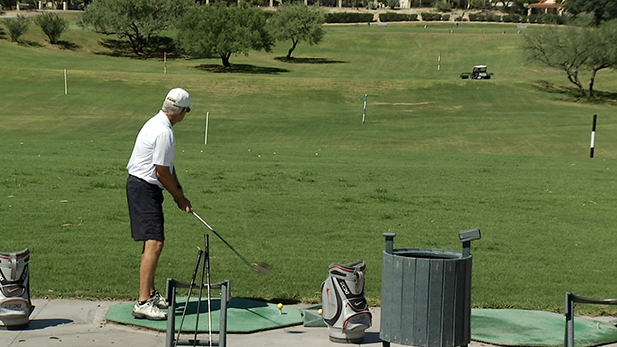 George Frisvold, a professor of agricultural and resource economics and an author of the study, said that golf took a hit after the great recession in Arizona and nationally, but now has recovered. “What you’ve seen is a big rebound where golf was one of the things that people were cutting out at the depths of the recession, but it’s picked back up again," Frisvold said. The research also examined golf's impact on water, showing that about 2 percent of the state’s total freshwater supply goes to golf course irrigation. Data from the U.S. Geological Survey from 2010 showed on average, Arizona golf courses used more than 100 million gallons of surface and groundwater for irrigation every day. Tucson Council Mulls Fate of Money-Losing Golf Courses Supervisors Approve Turning Green Valley Golf Course Into Park Episode 131: 'Cats are Out, But will Tucson Benefit from the Final Four?